How can I undo when I move the cursor, Ctrl-Z doesn't work? I would prefer a keyboard shortcut, but any method will do, although I'd like to avoid scripts if possible. You can try Cursor Control addon. Note: To overwrite your actions you only need to go back in history. Not the answer you're looking for? 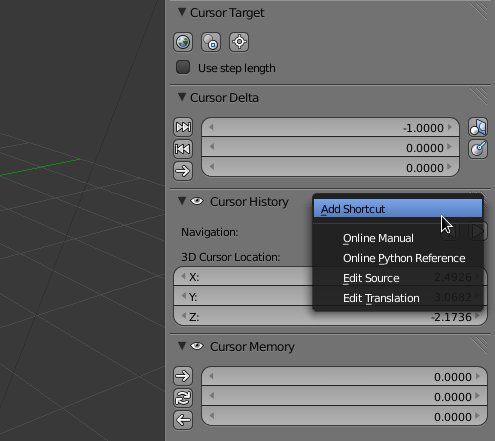 Browse other questions tagged 3d-view workflow shortcut 3d-cursor or ask your own question. How to toggle visibilty of Subsurf modifier using shortcut?